Looking for up-to-date information on any and all branches of the international gambling industry? World Casino Directory is the portal of choice for gamblers, casino officials, managers, executives and affiliates, offering a tremendous assemblage of unique, highly specialized niches for just about anyone with keen interests in the world of games. 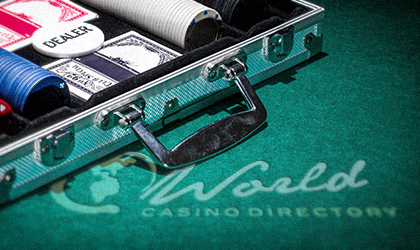 The history of WCD reaches as far back as 2002, when the portal was envisioned and launched as an archive and index service for land-based casinos. Supported by the vast knowledge and experience of its creator, industry veteran Steve Hand, the site quickly outgrew its initial purpose, expanding over time to eventually cover both terrestrial and online sectors in their entirety! In 2005, it was obtained by Bernard Richter, who significantly upgraded the site, setting the basis for the world's largest and most comprehensive gambling guide and directory that WCD is today. ...a list of available casino jobs and open positions across the world. A major turning point for WCD happened in 2017, when Joshua Chan, CEO of LCB.org and numerous other partner sites in the vast gambling network of the same name, recognized the enormous value of the growing database. Taking over from Mr. Richter, LCB Corporation acquired the site and set out to realize its full potential. LCB and WCD teams are working hard to take the invaluable service to the next level. The site has been reorganized, internally restructured and polished to offer a more user-friendly, intuitive and effective insight into various aspects of the gambling world. WHAT does WCD offer to gambling enthusiasts? The shortest answer is - everything! ...can testify to the multi-functional approach that WCD nurtures to educate, empower and entertain its readership on a daily basis. Every new casino, online or on land, receives due attention for your convenience: an unbiased review, player ratings and close monitoring ensure you are properly informed, and introduced to fresh and upcoming gaming destinations! Browse the list of all countries of the world where gambling takes place in some shape or form, to get acquainted with their current and pending laws, available opportunities, facilities and options, you as a gambler and a traveler can benefit from. ALL forms of gambling are thoroughly explored and documented: expert guides and strategies will help you get the most of your exploits with dynamic and interconnected data that is relevant at any given moment. The evolution of WCD is an ongoing process - it will never stop expanding, improving and adding new features for the benefit of the global gaming community.